A wedding vow renewal ceremony, this is something that many couples look forward to. Why you may ask? Because it means that a couple has made it this far in their marriage. It means that after five, ten, or even fifty years, they still want to be together. It means that despite their personal struggles, they want to help each other, support each other, and love one another for the rest of their natural lives. Anyone who has been in a serious relationship can testify that this is an impressive feat, and it is something that should be celebrated and publicly recognized. Not just a dream destination wedding location, but a romantic backdrop for your vow renewal too. The white sandy beach, crashing waves, and soft warm breeze provide a soothing and picturesque scene for your vow renewal. You could do the ceremony inside of course, but there is something special about DR and it’s beaches…Imagine having a beautiful dinner on the beach at night, the candles emanating a romantic glow, the stars shining above, and the love of your life sitting across from you. It sounds absolutely enchanting, don’t you think? The most popular location for vacation, destination weddings, honeymoons and vow renewals is Punta Cana. There is a wide variety of resorts and options so this is probably the safest choice. It is also more crowded and it is harder to book venues or wedding coordinators, but it is definitely worth it! Other places like Samana, Las Terrenas, Las Galeras, Bayahibe or Puerto Plata are less known but all the same interesting and stunning for any event you might be planning. There isn’t a hard and fast rule about who should or shouldn’t be at your vow renewal. If you want your whole family, all your friends, and your acquaintances with you in DR, then go for it. It would definitely be exciting. All those people there supporting you, cheering for you, and celebrating your accomplishment. It could be like a second wedding. If you would rather something more private, then maybe just have your best friends and your children (if you have any). Surrounded by the people who mean that absolute most, a select few who care more than others, sounds like a romantic and meaningful ceremony. If you want something truly intimate, then make it a ceremony for two. The one other person in attendance being the one who truly matters. This could be a sweet and private event where the two of you recommit to one another, in the privacy and intimacy that a small ceremony provides. All three options sound wonderful. When deciding on who to invite, you should ask yourself what kind of vibe do you want at your ceremony. Quiet, private, and romantic, or do you want vibrancy, energy, and fun. There is no wrong answer! It is truly a personal preference. Some couples choose to wear their original wedding attire (wedding dress and tux). If you still like the style, and the clothes still fit, then go for it! It would make for some really cool before and after photos, especially if your wedding day was fifteen to twenty years ago. If you want something special and specific to this day and place, then buy something special that you will feel beautiful and comfortable in. It could be another wedding dress, a beach dress, or even a suit. It is completely up to you! Just keep in mind that Punta Cana is in the Caribbean, so it can get hot. Should there be a reception? We say yes! A dinner party with your favorite foods and your favorite people sounds like a wonderful time. You could have your reception on the beach, or inside one of Punta Cana’s renowned resorts like the Hard Rock Resort. If you chose to do a private vow renewal with just your spouse, then a romantic dinner for two works just as well. Where can I have a Vow Renewal Ceremony? 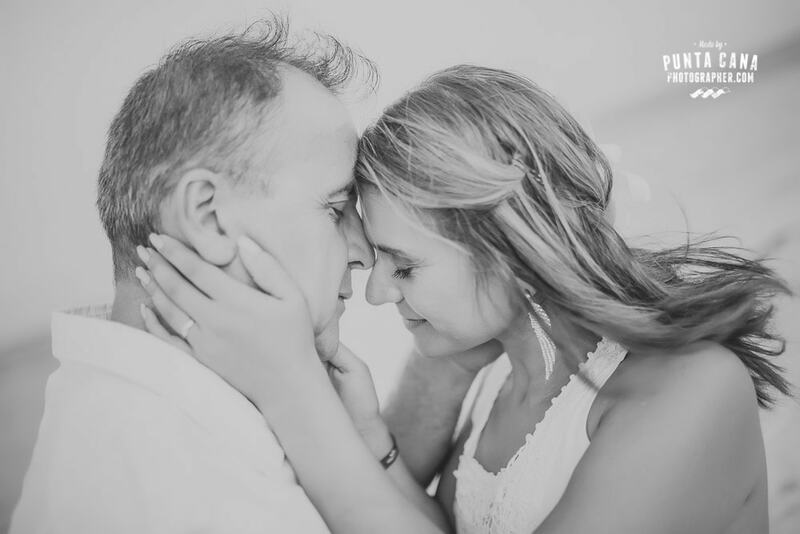 Depending on your idea and the amount of guests you would like to invite, you can choose to have it inside the resort you will be accommodated, do it in an outside venue or just read your vows on a secluded beach where you can do photos and a reception afterward. The options in Punta Cana are many. 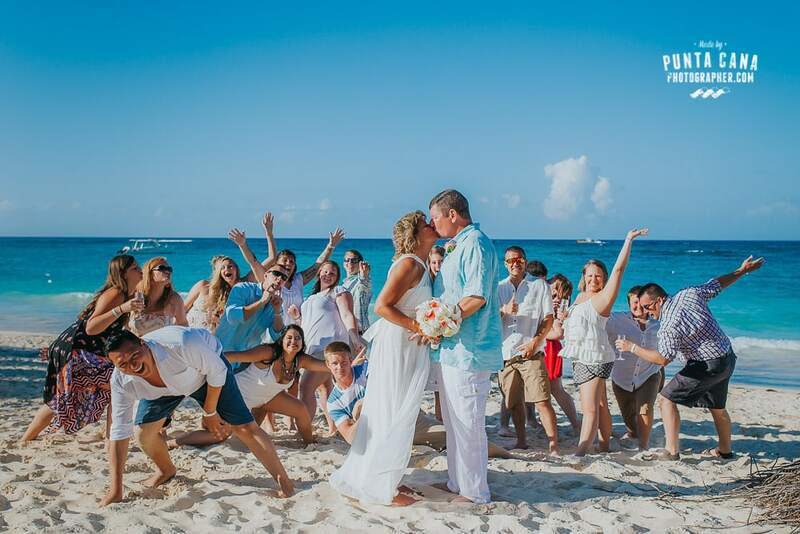 Any of the resorts in the area can organize a ceremony and reception which is usually the easiest way since you and your guests will be staying there and you don’t have to move everybody. It might also be harder on other matters because if you want to use any outside vendors like makeup artists, photographer, and even officiants then the resort will charge you a fee to allow them to work inside. Maybe a good option is to do it in an outside venue like Kukua Restaurant, Huracan Cafe or Jellyfish Restaurant. They all provide a wedding planner to help you organize the event and are incredibly beautiful for pictures. You can have both, ceremony and reception in these places. Las but not least, there is an option especially for those who want to make an intimate ceremony with very close relatives or by themselves. You can either hire the photographer and go to a beautiful beach to read your vows to each other and spend some time together, or you can have a ceremony organized with an officiant and a Gazebo in one of these beaches. Usually, Macao Beach in Punta Cana is a great spot for this kind of events because it is a public beach and you won’t have to deal with fees or permits. A vow renewal is a special time in someone’s life. It is a major milestone! Not many couples can say that they loved each other enough, tried hard enough, and fought for what mattered most: their mutual love and respect. If you have made it this far, then you are entitled to a ceremony. You deserve a celebration. So celebrate! Take this wonderful opportunity to recommit, and don’t stress about the details. 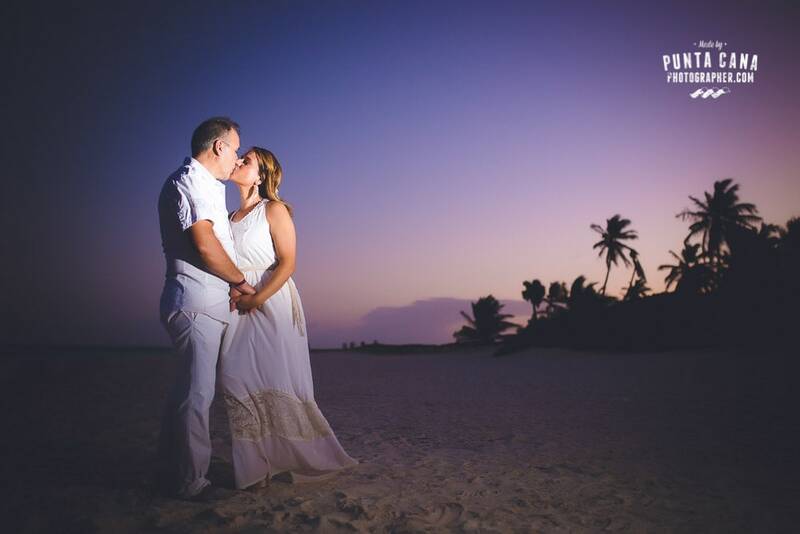 No matter what you choose to wear, which resort you choose to have your reception at or the number of guests you choose to invite, a vow renewal in Punta Cana will be magical and memorable.